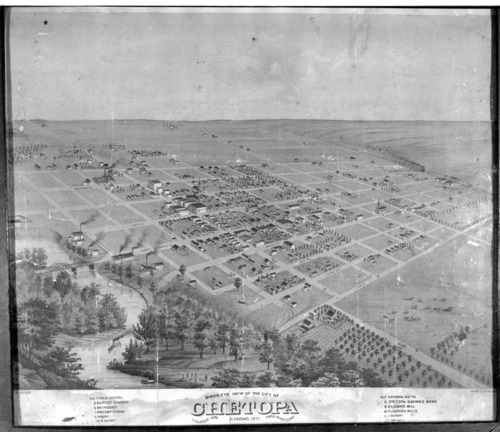 This black and white lithograph is a bird's eye view of the city of Chetopa, Kansas. The lithograph shows the location of churches, banks, mills, and railroad depots. A legend below the image identifies some of the buildings.